Come for the rum and Coke, stay for the fashion. We all have friends who've threatened to "Move to Canada!" and they're not going to shut up aboot it. Cool, because Canada has some damned fine TV. Crack a Molson and stream these Canadian series while filling out your passport application. Neckless redneck Wayne, his buds and a cavalcade of characters fight, drink and generally laze about in hick town Letterkenny, trading verbally dense rants and takedowns with the hyper-speed virtuosity of an Eddie Van Halen solo (or, to keep it Canadian, Alex Lifeson). Letterkenny is like a flannel-shirted meld of It's Always Sunny in Philadelphia and a live-action South Park, but wholly original, and a decidedly love-it-or-hate-it kerfuffle. 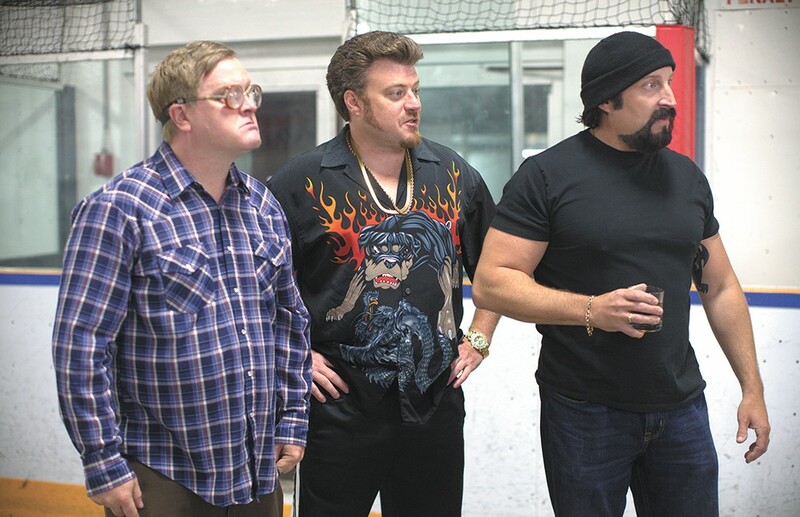 I couldn't stand Trailer Park Boys at first — and nearly avoided Letterkenny due to comparisons. Now... I'm not completely sold, but the series has its charms. The mockumentary about a group of Nova Scotia trailer park screw-ups and their perpetually doomed money-making schemes strikes a consistent balance of hilarity and cringe, but, should you find yourself relating to any of these characters, discontinue watching immediately. Schitt's Creek isn't a Netflix original, nor is it even 'Merican. Like Arrested Development a la Canada, Schitt's Creek pits dumb ex-wealthy folk against small-town rubes with ridiculously funny results: Johnnie and Moira Rose (comedy treasures Eugene Levy and Catherine O'Hara) are forced to live in the dump town of Schitt's Creek, which they once purchased as a joke. More so than Arrested D, Schitt's Creek is a stealth heart-warmer. In cult sci-fi series Orphan Black, a small-time criminal (Tatiana Maslany) assumes the identity of a dead detective she eerily resembles, only to learn she's a clone and that there are more versions of herself out there. And then it gets crazy. Maslany's performance — multiple distinct performances, to be exact — is stunning. The original print version of this article was headlined "Five Shows from Oh! Canada"